Pivot Learning joins Oceanside Unified, Monterey Unified, and Bonsall Unified, along with the Linked Learning Alliance, to rethink and redesign the 6-12 school experience. Oakland, CA – Pivot Learning is proud to announce the launch of the Beyond High School Initiative to transform the secondary school experience in order to ensure that all students can succeed in college and career. With generous support from the James Irvine Foundation, Pivot is partnering with Monterey Peninsula Unified, Oceanside Unified, and Bonsall Unified school districts and the Linked Learning Alliance to develop a comprehensive secondary redesign model utilizing a suite of cutting-edge technology tools. The goal of Beyond High School is to transform the secondary experience to provide equitable access for all students to career-themed “pathways” or “academies” in areas such as computer science, healthcare, tourism, and agriculture. The model is based on the four pillars of the research-based Linked Learning approach – rigorous academics, career technical training, work-based learning, and personalized student supports. 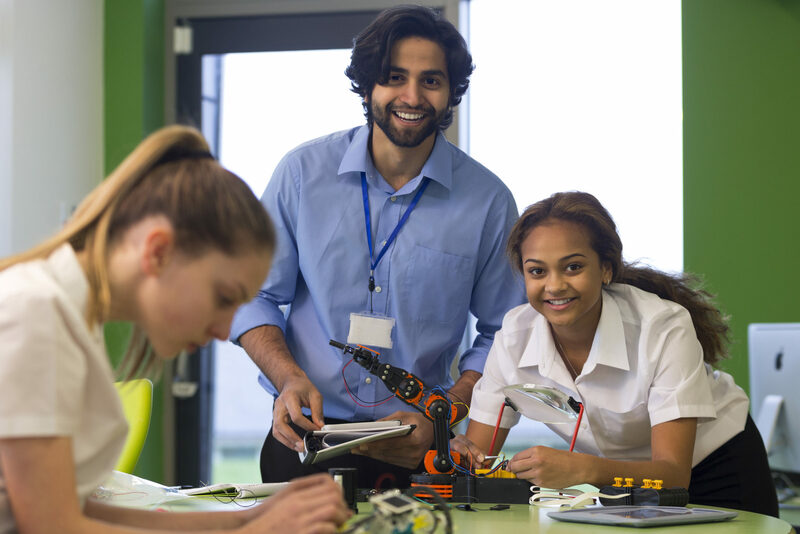 SRI International’s recently released seven-year evaluation of Linked Learning in nine California districts found decreased dropout rates, higher graduation rates, and more credits earned for students in linked learning pathways. The Beyond High School program is led by Dr. Laura Flaxman, founder of the nationally renowned Life Academy High School in Oakland, California. Beyond High School has several key features. First, districts are supported by Pivot experts through a change design process. “Design teams” of district leaders, teachers, students, parents, community members, industry partners, and community college leaders plan, develop, and prototype their model for secondary redesign. In two of the districts, Bonsall and Monterey Peninsula Unified School Districts the teams are redesigning their full secondary pathways from 6-12. In Oceanside Unified School District, the team is redesigning one of their large comprehensive high schools: Oceanside High School. “We are excited to partner with Pivot to ensure that all of our students are successful both in and beyond high school,” Reggie Thompkins, Deputy Superintendent, Oceanside Unified School District noted. Pivot is also partnering with the Linked Learning Alliance to implement two new technology tools in all three districts. The first, Linked Learning Analytics, analyses vital student data allowing districts and community members to assess the impact of their redesigned secondary pathways on student outcomes. The second, Linked Learning Certification, provides the districts and school leaders with an intuitive online mechanism to officially certify their schools as Linked Learning Pathways. Pivot is also partnering with Abl and School by Design to pilot tools to transform the use of time, including tools to streamline and facilitate the master scheduling.